The save order list is a feature by which you can shortlist items across soho-voip-phone and store them for future access and convenient purchases subsequently. You can even save navigation time during reordering the same items in future. Shipping charge is applicable on all items at soho-voip-phone except for soho-voip-phone, To find out the actual shipping charges applicable for various items, please go through the soho-voip-phone Shipping Charges and Policies. What do I do in case I receive a defective / damaged item from soho-voip-phone? If an item ordered by you on soho-voip-phone is delivered to you in a damaged / defective condition, please email us at customerservice@soho-voip-phone.com for a replacement. When we ship out the replacement item to you, we will also have the defective / damaged item picked up from you at our cost. soho-voip-phone offers you a variety of convenient payment options (credit cards, cash on delivery , internal credit systems) to choose from, so that you can transact at soho-voip-phone conveniently in a secure manner. We hope that offering you with multiple payment options makes you more comfortable shopping with us. Do you accept international credit cards on soho-voip-phone? At soho-voip-phone, it is safe to use your credit card to make payment for your order. soho-voip-phone uses the latest encryption technology to ensure that information is transmitted from your browser to our servers safely over the Internet on a Secure Socket Layer (SSL) link. 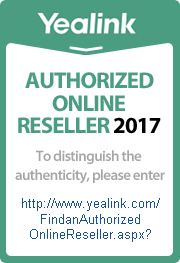 In fact, we have a secure digital certificate from Verisign Inc., one of the world's largest secure digital certificates issuing company.